Today we are again with a pallet-made coffee table but here it has been added with some unique features that are just lovable! 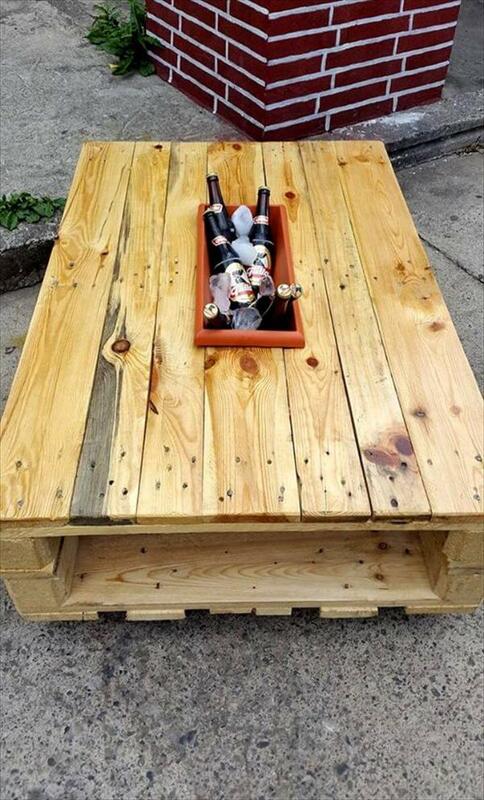 Here the pallet coffee table has been edited to give this new DIY pallet coffee table with ice box which creates too much fun for those part lovers! It provides a icebox top inlay which can be filled with anything mostly with the ice cubes especially where the people sitting around are ready for a party time! 2 strong looking pallets have been decided to pack in bunk arrangements, so cleverly their bottoms have been joined for a great bonus which results in shape of inside storage space in the table! For an enhanced character of the table, it has been elevated on wheels, allow it to move smoothly over any cemented or paved floor! This pallet wood creation is also something that is gift-worthy so can be used in gift-giving also, you can even clone it to put in your DIY shop to earn some money or just take it as a mind-blowing or low-cost idea to meet your custom furniture needs! 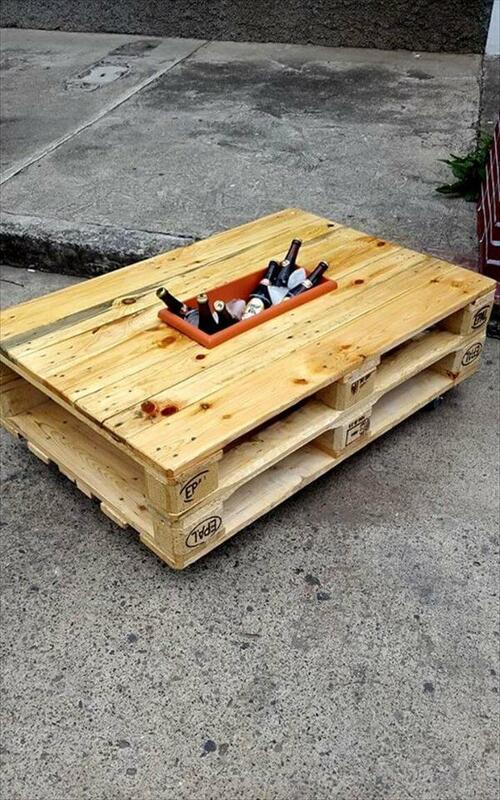 Special edition of pallet coffee table got for the party lovers, comes with a icebox top inlay, fitted to keep the drink bottles cool till the party time! Overall construction is all about to hold 2 pallets in bottom-to-bottom manner, in this way the final coffee table also provides the inside storage space! For an industrial pop, this coffee table also comes on hardware casters or rolls!